Aren’t these cards adorable? This is the January Paper Pumpkin subscription kit. The kit came with the supplies to make 16 of these cards, 8 of each!! 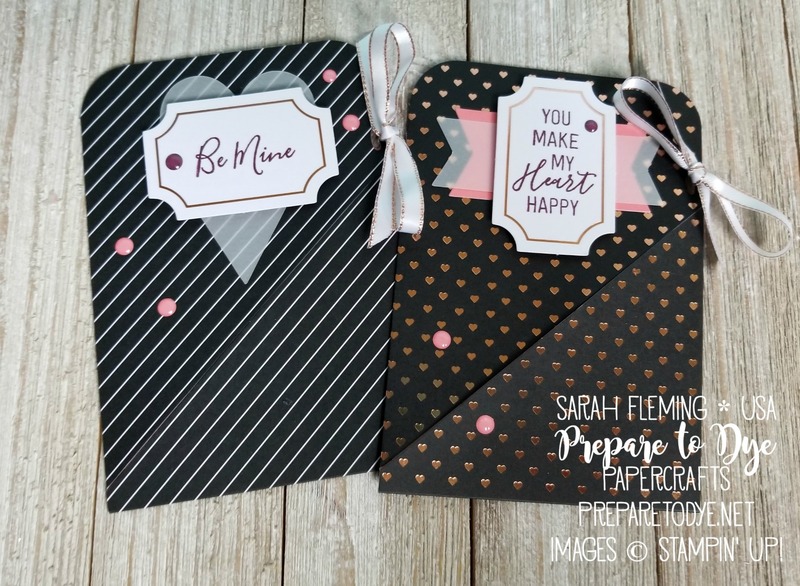 I absolutely adored the stamp set last month, and was happy to see a Rich Razzleberry Stampin’ Spot ink pad in there, plus those delicious enamel dots and the gorgeous ribbon. Okay, I loved the whole kit. Paper Pumpkin is available as a monthly subscription, or you can buy prepaid subscriptions. The best part during Sale-A-Bration is that if you get at least a 3-month subscription, you also get a free Sale-A-Bration item!